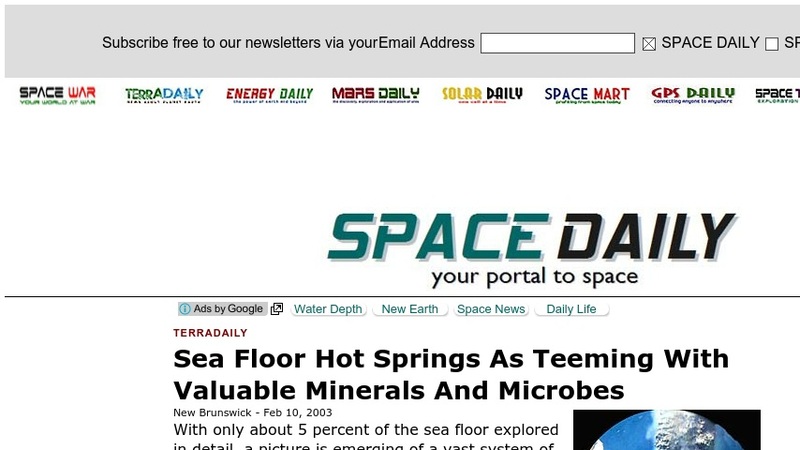 This article found in SpaceDaily is a review of the research and professional affiliations of marine geologist and geophysicist Peter A. Rona of the department of geological sciences and the Institute of Marine and Coastal Sciences the State University of New Jersey at Rutgers. Rona who is currently a sea-floor mineral resources consultant to the United Nations has reported the values in sea-floor exploration and discovery. Links to related sites pertaining to ocean floor discovery, other ScienceDaily articles, and the Rutgers University are available at the end of the text.